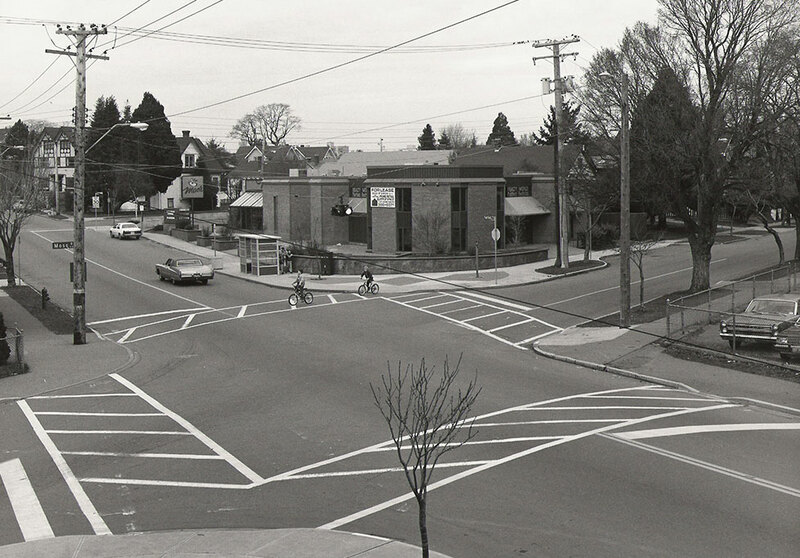 The Fairfield Community Association was established September 17, 1975 by volunteer residents to enhance the quality of life in Fairfield, and is still governed by a volunteer Board of Directors. The population of Fairfield currently stands at over 17,000. There are over 1200 elementary students in the neighbourhood. A middle school straddles the border between Fairfield/Rockland and Fernwood. The Fairfield Gonzales Community Association (FGCA), serving the Fairfield Gonzales neighbourhood, is defined in its constitution as bounded by Blanshard Street to the west, Fort Street to the north, Foul Bay to the east, and the waterfront, or Dallas Road, to the south. Within these boundaries are the neighborhoods of Rockland to the north, with its own formalized Community Association, and Gonzales to the east. In 1984 the Association opened Fairfield Community Place, which is the only neighbourhood Centre within these boundaries. The “Place” is a community centre and neighbourhood house which operates recreation and leisure programs for all age groups. Out of School Care programs operate in two locations serving Sir James Douglas and Margaret Jenkins elementary schools. The FGCA also offered Out of School Care at Sundance Elementary until its closure in 2014. The FGCA has a history of hosting neighbourhood events such as the Swiftsure Pancake Breakfast, Cocoa with Claus, and Halloween Bonfires, and currently hosts Fall FAIRfield, Family Fun Day, a community wide yard sale, and other community events throughout the year. The Place is the centre of operations for the Fairfield Gonzales Community Association, which is active in neighborhood planning, environmental concerns and community development. Residents can learn about programs and happenings at the Place through our Observer newspaper, website, and social media. 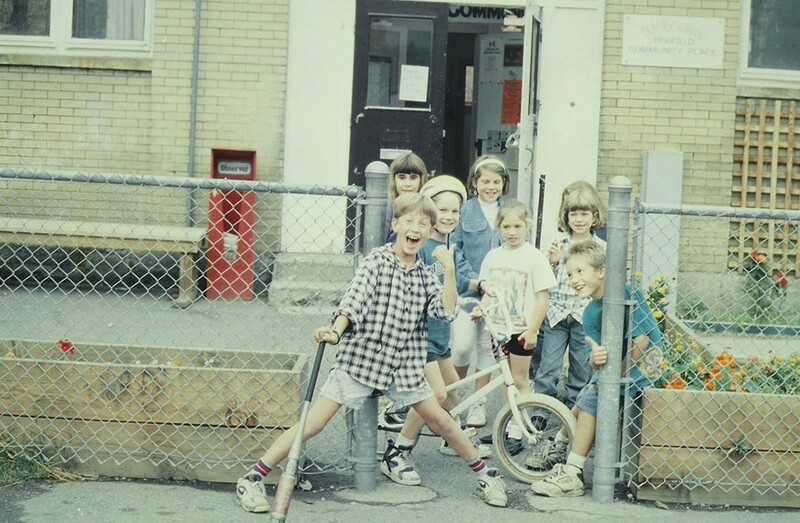 In January of 1997 the Place moved from its original location in a small brick annex on the property of Sir James Douglas School into a 5500 sq. ft. 1920s building on Fairfield Road adjacent to the new Sir James Douglas School. This space houses our administration offices, Out of School Care, and Parent & Tot. When not used for FGCA programs these spaces can be rented to organizations and businesses. In addition to renovating the Fairfield Road building, the Community Association built a 1500 sq .ft. multi-purpose room and a 900 sq. ft. commercial kitchen attached to the new school. The multi-purpose room, named the Garry Oak Room, is used extensively for recreation programs, meetings, and special events and is available for rent to community groups. The commercial kitchen has been designed as a teaching centre for cooking classes and as a special event kitchen. This entire space is designated as an Emergency Reception Centre for the City of Victoria Emergency Preparedness Program. In 2002, we acquired “the Portable” directly behind the Community Place. It has been upgraded with an accessible ramp and washroom. It is currently used as an all-day Early Learning Centre and is available to rent. It is a useful addition to the Community Association’s spaces. Over the past decade, the association has undertaken projects to improve our operations and our facilities. In 2006 the board adopted a comprehensive new Policy and Procedures Manual. An operational review was undertaken in 2007 which provided concrete recommendations to support the growth of the organization. Physically, the main Place building was renovated to provide more purpose-built office space for the growing staff. In 2008, the association changed its name, adding Gonzales, to better reflect the Fairfield Gonzales neighbourhood. In 2010 the association undertook an intensive campaign to upgrade the storage area at the back of the main place building and finally created designated Youth programming space. To specifically support this work, the FGCA made a targeted donation appeal. In partnership with the City of Victoria, our newest program space, the Youth Zone, opened for programming in the fall of 2011. Another change for 2011 was the move of our fiscal year end from December 31st to July 31st. As many of our programs follow the school year, this allows us to take advantage of a more natural transition time. 2011 also brought the creation of a new community event, Fall Fairfield: Harvest Fete, and the discontinuation of our Swiftsure Breakfast and Halloween Bonfire, in an attempt to better meet the needs of the community. In February of 2012 we held our first major fundraiser, the Fairfield Gonzales Gala, and began to focus more on such integral services as fund development, volunteer services, and community outreach. Programs and projects are constantly changing in order to enhance the quality of life in Fairfield Gonzales.